Chromebooks are snappy, easy to use and inexpensive computers designed for Internet based activities like browsing, email, music/video streaming and so on. 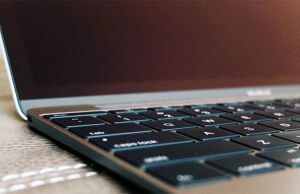 Premium Chromebooks – are they worth it? 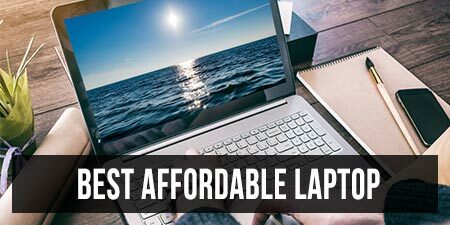 Many good options start at under $300 these days and for that kind of money you’ll get a fully functional computer able to handle the activities mentioned above, which makes Chromebooks excellent for students and anyone else who needs a simple and affordable computer for basic use. Chromebooks are not for everyone though, as they are crippled without an active Internet connection, can’t run specialized software that works on Windows or MacOS powered laptops, can’t run modern games, and the inexpensive options are not that great at multitasking either. However, there are also some powerful options with advanced hardware and features, and as long as you understand what Chromebooks are meant for and their limitations, one of them could be the right laptop for you. You will find many different Chromebooks listed in stores these days, and some are better than the others. 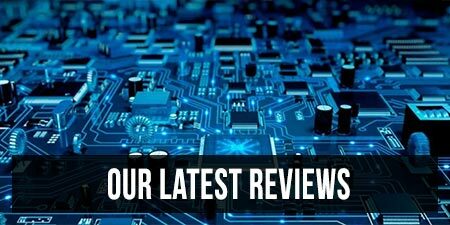 We’ve reviewed most of them and in this post we’ll help narrow down your options to the devices that better fit your needs and budget, based on their features, strong points and quirks. Chromebooks are Internet dependent, as Chrome OS and most of the apps are cloud based, thus need an active Internet connection to access the data on the servers. You can use Chromebooks offline, but with limited functionality. For more details you should definitely check out my Chromebooks buying guide. 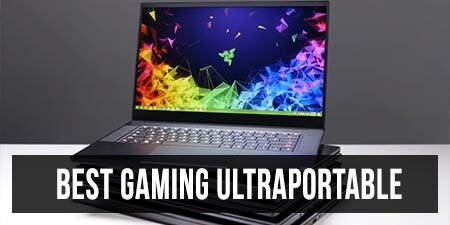 And if you feel like all these things mentioned above are not exactly what you want in a laptop, you should have a look at my lists of the best ultrabooks of the moment, or this selection of more affordable Windows notebooks. The table below includes all the recently launched Chromebooks available at the time of this update, listed in alphabetical order. We left out the older, and now obsolete variants, and we’ll get in depth on the most important models further down. * The starting price of the base configuration is listed for each model, higher specked versions are more expensive. Note that the configurations and prices vary as time goes by, so you should click the link on each device for up-to-date info and potential discounts at the time you’re reading this. Out of all these models mentioned above, the following are our favorites and the ones you should primarily consider buying. There are still many Chromebooks selling for around $200 these days, however, only some are actually worth considering at this point, and you should keep in mind that at this level you’ll only get small 11-inch devices with HD screens, plastic builds, non-backlit keyboards and basic hardware configurations. This latter aspect is important in order to get something that can actually handle everyday tasks smoothly. I’d recommend getting a device with at least a Braswell Dual-Core Celeron CPU (Celeron N3060, N3160) and 4 GB of RAM. You’ll also find options based on BayTrail-M processors (Celeron N2840) and options with only 2 GB of RAM, but I’d stay away from them, they’re just too slow for this day and age and such configurations are going to struggle and stutter with basic activities. Of course, even with the Braswell options it’s recommended to keep multitasking at a bare minimum in order to get a smooth everyday experience. Hardware aside, most of the options in this section are clamshell laptops with matte screens and TN panels, but some actually include nicer IPS panels, and you might even find a discounted convertible with a touchscreen from time to time, like the Acer Chromebook R11. You will also have to settle for fairly chunky plastic builds, standard ports and pretty small batteries with most options, although some offer 40+ Wh batteries and will be able to run for 6-8 hours on a charge. As for the actual products in this section, I’d keep an eye on the Samsung Chromebook 3, the Acer Chromebook 11 or the ruggedized Asus Chromebook C202. You’ll find more about them by following this link, and there’s a fair chance you’ll also find higher tier Chromebooks there for under $200, with occasional discounts. After seeing most Chromebooks in action, we consider that it’s worth spending a little extra in order to get faster hardware, extra storage space, nicer and larger FHD IPS screens, improved build-quality and features like USB-C connectivity, USB-C charging or a backlit keyboard. 11-inch Chromebooks are compact and portable, yet for most people an 11-inch screen is too small for everyday use, that’s why the most appreciated Chromebooks get 13 or 14-inch screens with a fair-quality FHD IPS panel. 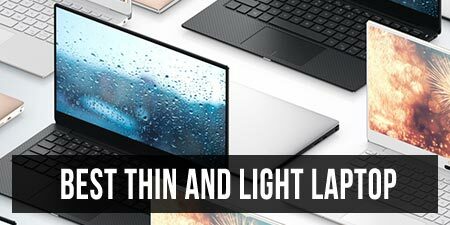 You’ll find great value in devices like the Acer Chromebook 14, the HP Chromebook 14, the Lenovo Chromebook S330 or the Poin2 Chromebook 14, all of them affordable clamshell laptops with 14-inch matte displays and optional touch for some of the higher-end configurations. These are based on mid-tier fanless Apollo Lake or slightly slower Mediatek hardware, with 4 GB of RAM, 32 GB of storage and roughly 48 Wh batteries. None get backlit keyboards though, which you’ll find on the Dell Chromebook 13, alongside slightly faster hardware and a 56 Wh battery, but paired with a TN HD screen and bulky construction, so not that good of a trade-off. You will however get backlit keyboards in the premium-tier Chromebooks we’ll address in the next section of this article. Convertible Chromebooks are another sub-section some of you might want to consider, laptops with a 2-in-1 form-factor and a 360-degrees convertible touchscreen, as well as pen support. The more affordable versions get 11-inch IPS HD screens, like the Asus Chromebook Flip C213 or the Lenovo Chromebook C330 and 500e, but they’re still plastic notebooks with fairly chunky builds and limited performance, as you’re paying extra for the touch display. There is better value in devices like the Asus Chromebook Flip C302 or the Samsung Chromebook Plus, which are available for around $450-$500. Of course, some of you might argue whether a Chromebook is worth this kind of money, but that’s a topic for another article, and in very few words, the answer is yes, in our opinion. The Chromebook C302 (reviewed here) has been around for a while and I’d reckon it will be updated early into 2019, but is still a viable option, despite its age. It gets a 12.5″ FHD IPS screen, a nice backlit keyboard, USB-C connectivity, snappy Core Y hardware and a 39 Wh battery, all tucked inside a sturdy metallic shell that weighs about 2.65 lbs. It lacks proper pen support though, and you might run into some QC issues, so it’s best you buy it from places that handle returns and warranty claims smoothly. The Chromebook Plus (reviewed here) received a v2 update in 2018, but actually lost some of the first-generation’s selling points. It gets a 16:10 FHD screen now and not the 3:2 2400 x 1600 px screen it used before, it’s slightly heavier and chunkier, and the keyboard still lacks backlightning. The design is nice though, the pen support is better implemented, there’s little to argue about the build quality, speakers or the typing experience, and the hardware (Skylake Celeron) is faster than on the original Plus. All in all though, this needs to come down in price to be competitive. It would be a good buy at a little over $400, especially for those who value looks and pen-support, but at the list price of $500 there’s simply better value in the Asus Flip or in some of the higher-tier Chromebooks we’ll cover next. Several years ago Google launched the Pixel, a premium and expensive device in a sea of affordable Chromebooks. It was superior across the board to all the other Chromebooks and could easily rival with the premium Windows laptops and MacBooks of its era in terms of build, screen quality, typing experience, etc. But it was still a ChromeOS device with limited capabilities and a hefty price tag. 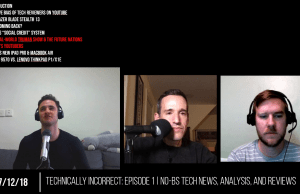 Much has changed in the meantime though, and quick forward to late 2018/early 2019, Chromebooks are more capable now, with a more polished OS and improved support for pens and Android/Linux apps. As a result, the offer for premium Chromebooks is much larger now. They’re still Chromebooks and cater to specific needs just like the other devices mentioned in the previous sections, just in a smoother way and in nicer packages, thus some of you might find just what you need in these and won’t mind paying $600 to $1000 to get them. If you’re not among them, there are a lot of good mid-range Windows notebooks you can consider instead. The Google Pixelbook is still the halo Chromebook out-there, but various OEMs have picked up where Google left off and by the end of 2018 you’ll be able to choose between a bunch of other excellent Chromebooks, like the Acer Chromebook 13 and Spin 13, the Dell Inspiron 14 Chromebook, the HP Chromebook X2 or the Lenovo Yoga Chromebook, and I’d also expect updated versions of the Acer Chromebook Flip C302 and the Samsung Chromebook Pro in the near future. Let’s take them one at a time. The Pixelbook is an amazing piece of hardware: excellently crafted, compact and light for a convertible 2-in-1. It also gets a fast keyboard and smooth glass clickpad, a bright high-resolution screen with 3:2 aspect ratio and pen support, fast hardware and 8+ hours of everyday use, even with its rather small 41 Wh battery, so it pretty much offers the looks, the build quality and the smooth experience you’d expect from a premium computer. However, this is not without its issues though. Pen support is still rather quirky on Chromebooks and a pen is not even included with this unit, the speakers aren’t great, there are some huge bezels around the display (wait for the updated late-2018 model) and last, but definitely not least, this is very expensive. A Core i5 model with 8 GB of RAM and 128 GB of storage MSRPs at $999, and even if these days you can get it for much less online, that’s still a hefty price for a Chromebook. You’ll get similar screens in the Samsung Chromebook Pro and the HP Chromebook X2. The former is a convertible and for the average user, a better value Chromebook than the Pixelbook, due to the fact that it’s much cheaper: it sells for around $550, and an ergonomic passive pen is included. On the other hand, the Samsung Pro trails the Pixelbook at most levels: the build is nice, but not as well designed and crafted, the keyboard lacks backlightning, the screen is a tad dimmer, the battery smaller and the hardware not as fast. The Samsung still wins at the weight and size departments, as it’s a tad smaller than the Pixelbook. However, you should factor in the fact that this Chromebook is built on a Core m3 processor with 4 GB of RAM and 32 GB/64 of storage, and that’s normally plenty for a regular Chromebook, but in this case the hardware has to push a lot of pixels and it will struggle with serious multitasking and demanding Android apps, while the Pixelbook with the faster CPU, storage and 8 GB of RAM handles such loads much smoother. With regular use and light multitasking you’re not going to notice any hiccups though. Thus, all in all the Pixelbook is a better product, but for the average user looking for a good Chromebook with premium traits and design, the Samsung Pro is probably the better value option. The HP Chromebook X2 is a detachable, a stand-alone Chromebook tablet with a keyboard-dock, so it’s a better tablet than most other Chromebook 2-in-1s, but at the same time a worse laptop, due to the wobbliness in the hinge and the top-heavy design. There’s still no keyboard backlightning, but otherwise the inputs are good. A pen is included, but it’s a battery powered AES pen, and most users would probably prefer the more ergonomic ERM pen on the Samsung Pro. 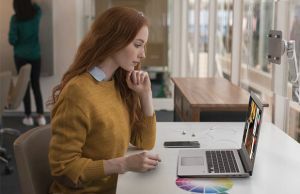 As for the hardware, the HP X2 is built on a Core m3 processor with 4 GB of RAM and 32 GB of storage, so it will handle everyday tasks fine, but will struggle with heavier loads just like the Pro does due to the screen’s high resolution. The storage is also fairly limited if you plan to install many Android apps. This Chromebook however wins in the battery department, as it gets a 48 Wh battery, 20% larger than the ones in the Pixelbook and Samsung Pro, but the design and big battery also make it heavier than the competition, at nearly 3.1 lbs. All in all, this is a compelling option with a fair price of around $550 to $600, but as mentioned above, it’s primarily a recommendation for those of you who plan to use it often as a tablet and greatly value battery life, otherwise the Samsung Chromebook Pro is the more ergonomic option at the same pricepoint. Acer and Dell address the potential performance limitations of the Core Y powered Chromebooks with 8th gen Core U powered devices, which does add a fan to the mix, and we’ll have to see how its noise impacts the everyday experience. The Dell Inspiron 14 Chromebook is a 14-inch convertible with a FHD touchscreen and EMR pen support, Core U hardware, eMMC storage and a 56 Wh battery, as well as a backlit keyboard and pretty good IO. It’s scheduled for $599 and up in Q4 2018. The Acer Chromebook Spin 13 is a very similar device, just slightly more compact and lighter, at 3.5 lbs. It gets a 13.5-inch convertible FHD+ touchscreen with 3:2 aspect ratio and a built-in EMR pen, Core U hardware, eMMC storage and a backlit keyboard, starting at $749. Our in-depth review is available over here. Last, but definitely not least, those of you interested in a full-size premium Chromebook should have a look at the Lenovo Yoga Chromebook. It’s a sturdily crafted computer that borrows from the design and build of Lenovo’s ThinkPad lines, with a 15.6-inch touchscreen available with either a FHD or an UHD panel and EMR pen support, 8th gen Core U hardware, up to 8 GB of RAM and 128 GB of eMMC storage, as well as a backlit keyboard and 56 Wh battery, so definitely something to keep an eye on. The Yoga Chromebook is scheduled for Q4 2018, with the base model starting at $599, but don’t forget that even if this is compact and light for a 15-inch convertible, with small bezels and a total weight of 4.2 lbs, it’s still nowhere near as portable as some of the other options out there. Long story short, Chromebooks have come a long way and these days the offer is diversified enough to cater to most needs. A lot of people spend the majority of their time online, and for them a Chromebook is a compelling and inexpensive option, as a smoother, safer and simpler alternative to the existing Windows laptops in the $200 to $500 range. You can opt for an affordable option under $200, or get one of the better mid-tier laptops with superior builds and screens, snappier performance, long battery life and still excellent value. The premium options on the other hand are a harder sell, but still make sense for regular user that are not interested in specific Windows software or games, and would rather get a simple and quick computer with an excellent screen and the build quality and battery life they wouldn’t otherwise get in a similarly priced Windows laptop. Such a Chromebook is no longer an inexpensive secondary notebook, so you should make absolutely sure it will do what you want and you’re not going to regret its reduced functionality later on. At the end of the day, Chromebooks make for great travel companions, inexpensive laptops for school and even everyday notebooks for those of you who stick to Internet-based activities like browsing, emailing, multimedia and so on. They’re definitely not for everyone, but as long as you’re aware of their strong-points and especially of their limitations, and also buy them from places that will properly handle the eventual QC issues inherent on inexpensive computers, you should be happy with one of these. That’s about it for now. I’m constantly updating this list of the best Chromebooks available out there, adding new devices as they pop in stores and retiring the obsolete variants, so make sure to bookmark this and check it out from time to time for changes. Last but not least, share this post around if you found it useful and check out the comments section below, it’s open for your suggestions and questions, and I’m around to reply and help you find the best Chromebook for your needs. This is an excellently article in relation to Chromebooks and the author deserves a lot of credit for writing an exhaustive yet succinct review of the current selection of Chromebooks. I think his reviews were very fair and balanced as there are a lot of inaccurate articles written these days about Chromebooks. This article makes everything very clear. I personally own a HP Chromebook 11 (I had a Samsung Series 3 Chromebook which I gave to my girlfriend) and would agree with his comments about the HP Chromebook 11. There are sacrifices to be made with the HP Chromebook 11 and they are performance and battery life (when compared to other available Chromebooks) and this would be a deal-breaker for a lot of people looking for a Chromebook (and they are very good reasons to be a deal-breaker). In my opinion Everything else is perfect on the HP Chromebook 11 and for what I use it for I can live with deficiencies of that model of Chromebook but I do wish it had the power and battery life of the Dell 11 or the Acer C720. Like most things in life – you can’t get everything! Anyway the main thing I wanted to do was to remark on the excellently written article and give the deserved praise to the author. I was seriously considering buying the chromebook 11. Its a sweet little chromebook, but the low end specs held me back. I really hope HP keeps the same design for the next gen, but up the battery, RAM and processor to a intel with alot of balls and I will buy. Its perfect unlike the other bulky ugly chromebooks out there. Hey there, I realize that this is an old article, but if you somehow get this, I am trying to decide between a Samsung series 3 and the hp chromebook 11, could you let me know which one you prefer? Thanks! I'd probably get the HP, It's a little better built and gets an IPS screen. The color choices might also make it more appealing. Andrei, it would be very helpful if you could add a column to your “The Best Chromebooks of the Moment” table to indicate if each Chromebook is completely fanless. This inforation is often difficult to find or is misrepresented in advertizements. That’s based on the platform. IN general, if it’s an ATOM or ARM platform inside, it’s fanless, if not it has a fan. But I’ll take this into consideration for the next major update. Thanks Andrei. I know that Intel was advertising that the Lenovo Yoga 3 was fanless (since it has the fanless Core M processor) but it does have a chassis fan. And Acer has the E11 which is totally fanless with a Celeron processor. Having a completely fanless machine is important to me so I’m looking for accurate information. Yeah, you’re right, there are some exceptions. Till I get the update, if you have any questions about any particular model, leave a comment and I’ll try to help. Does any Chromebook have a 3G sim connection or not? It would be great if you can put the screen resolution in the Screen column in your table. Any possibility of updating the HP section? The G4 model of the Chromebook 11 is very different to what was released back then. thanks. Yes, this post needs an update urgently. It’s on the list, sry for its current state. I just searched. An 11.6″ IPS display with 4GB RAM is not available anywhere. If anyone knows different please post. thx! PS-I found it in the Acer R11 C738T (one of the three models getting Android App support first; in June). I just got an Acer c740 with 4gb of ram and i’m amazed at its performance. I have had multiple videos, sound editors,image-heavy news websites, google docs, facebook and google plus, all while google play music is streaming in the background and it never stutters at all. It would be perfect if the screen had better quality, but for the $220 they charged for it new, it was a bargain. Good article. Which Chromebooks have memory slots for expanding memory like some of the older Acer and HP Chromebooks as opposed to soldered in memory? * The Acer R11 is an IPS touch panel, not a TN. Very informative and balanced review! I'm trying to decide between ASUS C201 (2GB Ram) and Acer CB3-131-C3SZ (2GB RAM) and Acer CB3-131-C5RA (4GB Ram and ICD N2840 processor). I would really appreciate some feedback to aid in my purchase! To my understanding, I think I would have about 10GB of actual storage on the laptop (all 3 that I've mentioned above have 16GB SSD) . But would it be possible to get it extended in other ways that are not on either a USB flash drive, memory card, or on cloud/G drive? Updating the storage is not possible as far as i know, as thee get eMMC storage soldered on the motherboard. I'd lean on the latter ACER option just for the extra 2 GB of RAM, they're going to make a difference. Otherwise, they are all mostly the same, but you could look for user reviews on Amazon to pinpoint their specific issues so you'll know what to expect. please tell me can i run microsoft office programs particularly "word" and "power point" on chromebook? my daughter's high school requires a chromebook. requirements: 10" screen o rlarger, wireless internet connection (802.11n preferred); 6 hours battery life, modern operating system. That should do fine, or you could also consider the more rugged Asus C202SA.